A spacecraft designed to sample an asteroid and return that sample to Earth will depend greatly on its communications systems with Earth to relay everything from its health and status to scientific findings from making a detailed survey of the asteroid known as Bennu. That’s why engineers from NASA’s Deep Space Network spent the past couple of weeks performing detailed tests of the various communications systems on the OSIRIS-REx spaceraft. More than a simple on-off evaluation, the tests call for analyses that simulate the millions of miles of distance that signals from the spacecraft will have to traverse to reach the gigantic antennas of the Deep Space Network placed in California, Spain and Canberra, Australia. With dishes measuring up to 230 feet in diameter, the Earthbound communications network is geared to pick up faint transmissions from probes that are exploring the solar system. The recent tests were completed inside a long, single-story building at Kennedy known as MIL-71. Its name harkens back to the time when Kennedy was known as the Merritt Island Launch Annex, or MILA. Communications systems allow only three letters, so it was shortened the MIL. In much the same way, the asteroid sampling mission called OSIRIS-REx by its management is known in Deep Space Network and communications circles by its own three-letter acronym, ORX. 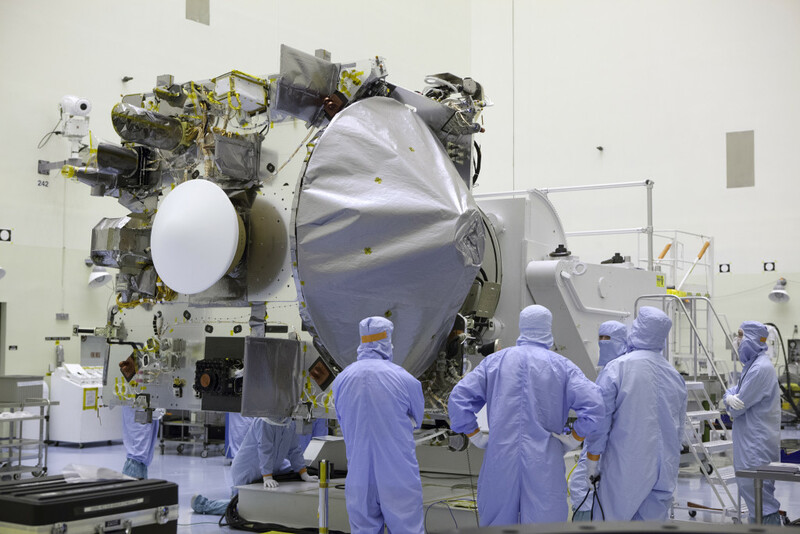 It takes a roomful of specialized gear to perform the testing which calls for simulating the vast distances of space though the spacecraft and instruments are in buildings next door to each other. The team heads back to California soon to apply their work to the system and get ready to use it for launch.